Oscar winning director of The Hurt Locker, Kathryn Bigelow comes with an impressive resume of films including Zero Dark Thirty. In her latest film with screenwriting partner Mark Boal Detroit, they viscerally tackle police brutality and racial tension in Motown, once the centre for the American automobile industry. 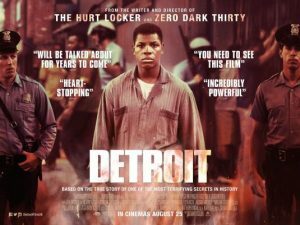 Detroit features a cleverly cast group of emerging young actors including British stars John Boyega (Star Wars: The Force Awakens) and Will Poulter (The Revenant), while director Bigelow dissects in vivid and intense detail a murderous incident at the Algiers Motel on the night of the 25th July 1967. Bigelow goes beyond racial polarities and cinematically retells a terrible incident whereby a young group of African American men were terrorized by White police men at the Algiers Motel headed by the sadistic Krauss excellently played by Will Poulter in one of his most prolific onscreen roles. The group of African American singers headed up by Larry played by Algee Smith are equally traumatized by the lengthy incident when all they wanted to do was establish their singing group The Dramatics hoping to raise a similar celebrity status to The Supremes as they attempt to perform in downtown Detroit when a riot causes the show to be cancelled. This was the Midwest in 1967. 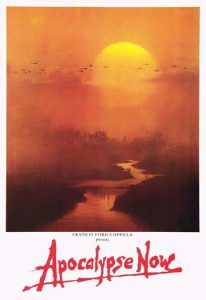 The American civil rights movement was in full swing as was the deployment of troops in the infamous war in Vietnam. American society was transforming exponentially. 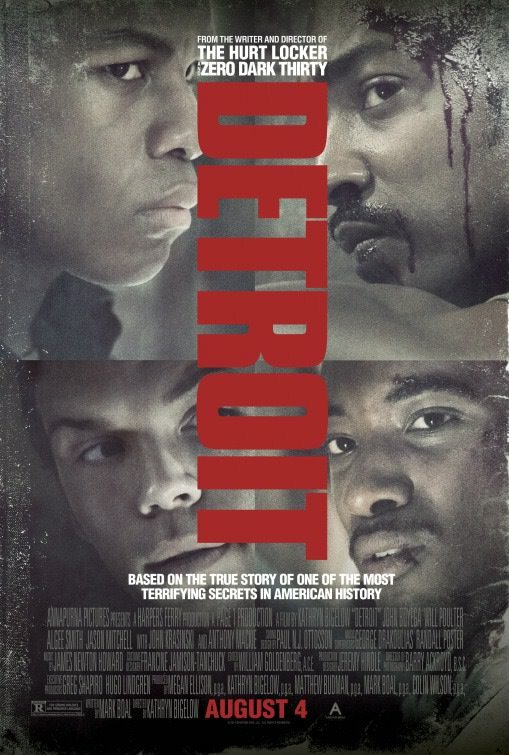 Detroit is an extremely important film about visual identification and racial representation made pertinent by the ongoing debate about whether director Kathryn Bigelow as a white female director is the right person to be retelling the horrific Algiers incident whereby white policemen play the death game on the group of young African American men and taunt them because they are courting two young white prostitutes Julie played by Hannah Murray and Karen played by Kaitlyn Dever. 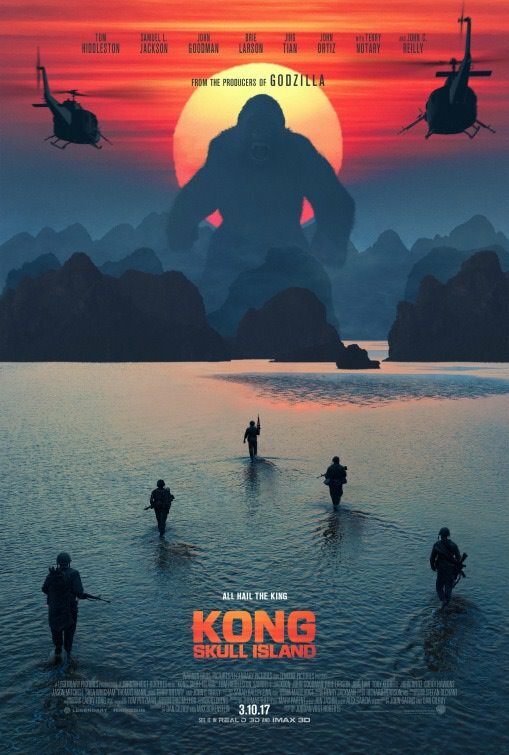 The three policemen responsible for the incident are Demens played by Jack Reynor (Macbeth, Sing Street), Flynn played by Ben O Toole (Hacksaw Ridge) and the aforementioned Krauss. 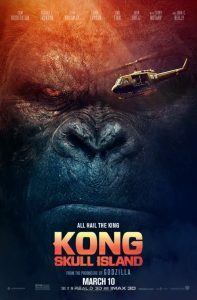 John Boyega plays Dismukes a young African American man working two jobs one in a an automobile factory and the other as a night security guard who stumbles on the events at the Algiers when Carl played by Jason Mitchell shoots a toy gun at the National guard in the midst of inner city race riots. What stood out in Detroit was how all the characters both Black and White are affected by a heightened level of inherent violence and male aggression, something which Bigelow highlights and Detroit suggests that this aggression is endemic in American society regardless of skin colour. Framed against the incident is also the emotional story of Larry’s refusal after the event and subsequent trial to continue performing in The Dramatics at downtown nightspots where mostly white policeman can enjoy Motown music. The racial signifiers in Detroit are complex but the narrative tension is brilliantly executed with a resonance and skill rarely seen in contemporary cinema. Detroit is an important film for everyone to watch, contributing to a cinematic study of race relations internationally and raises pertinent questions of visual representation. Detroit gets a film rating of 8 out of 10. Highly recommended viewing for those that enjoy intelligently told docudramas about the turbulent 1960’s in America.